Misconceptions about sun exposure are plentiful and put people at risk for skin cancer. “As a practicing dermatologist for over 20 years, I am regularly surprised when patients tell me they love sunbathing and spend hours in the direct sun, that SPF isn’t really important in suntan lotion or that tanning beds aren’t really too risky. When it comes to skin safe sun habits, people have a lot of misinformation,” says dermatologist Meryl Joerg, MD, of Advanced Dermatology PC. “Many people seem to know that lying out in the sun for hours and getting a blistering sunburn is not good for their skin. Fewer seem to know that even getting a nice brown tan is also bad, ” Joerg says. Following are four common misconceptions about sun related skin risks and prevention. Getting a “base tan” prevents sunburn. The higher the sunscreen SPF the better. The sun protection factor, or SPF, refers only to UVB rays. To get UVA protection, a sunscreen labeled ‘broad spectrum’ or one that contains a physical block like titanium dioxide is required. 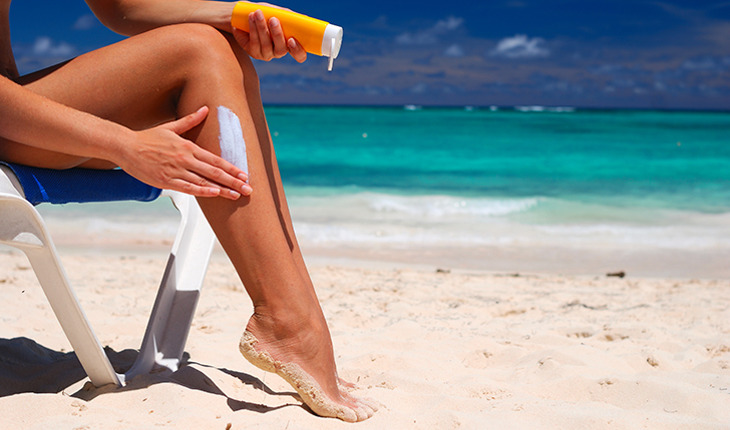 UVB protection doesn’t increase proportionately with the SPF number. Joerg explains that SPF 30 screens about ninety-seven percent of the UVB rays, whereas SPF 15 screens ninety-three percent. Joerg recommends SPF 50 in the summer months and SPF 30 or greater year round. Sunscreen needs to be applied only once a day. Tanning beds are less risky than a day at the beach. Millions of Americans visit tanning salons every year, and most don’t realize they’re unsafe. According to Joerg, “people who first use a tanning bed before age 35 increase their risk for melanoma by 75 percent.” Many states have put restrictions on tanning beds for people under age 18, and some states require parental consent. “We advise our patients to steer clear of tanning beds altogether,” Joerg says. Meryl Joerg, M.D., is board certified and specializes in dermatology at Advanced Dermatology P.C. Advanced Dermatology P.C. and the Center for Laser and Cosmetic Surgery (New York & New Jersey) is one of the leading dermatology centers in the nation, offering highly experienced physicians in the fields of cosmetic and laser dermatology as well as plastic surgery and state-of-the-art medical technologies. Check here more information.